Boxes, Boxes, BOXES. BirchboxMan Round 2! We at The Peak Lapel love getting new male-oriented boxes each month, and have been pleasantly surprised thus far with the male subscription box services out there. As you know, we don’t just keep the products for ourselves, we also let you in on our experience. We even have a special page where you can see ‘em all! Now, to start with our look at Birchbox Man for the month of October, I want to point out that the box this month was quite different than the September box. They’re doing a nice job at keeping things fresh. The theme for October is “Go Get ‘Em – What are you waiting for? Here’s to your next adventure.” To be perfectly honest with you, I don’t quite understand what the theme is trying to convey or how the products fit that theme. But, really, who cares. The theme is truly the most insignificant part of this box. The products are everything. So what products did I get in my BirchboxMan for October? AND THE WINNER IS: Anthony Facial Scrub!!! First, the scent. It is awesome. Right when I opened the bottle up I smelled the product and was instantly transported to the beach. If you look at the reviews that people have written about this product, almost all will mention how good it smells. It is true that the smell has nothing to do with the effectiveness of the product, but having a great scent is a great first impression, and a lasting one too. When I think about this product, I think about its scent before all else. Second, I only need very little product to rub all over my face, so this 1 fl. oz sample is going to last me much longer than a typical sample product of another variety. Third, it works (I think). It’s hard to know if an exfoliator really works since the before-and-after is not always self-evident. However, I can tell you that I “felt” that it really exfoliated my skin well. My skin felt and looked smoother after. Lastly, it’s a really cool looking color. I love the orange look of the mini bottle among all my other products. 1. A couple of people have mentioned to me that they don’t love getting subscription box services since it ends up “cluttering” their bathroom or other space. People view this as a genuine criticism of the subscription box model in general. I completely disagree with this criticism. Personally, I LOVE the variety of products that I have been testing, and I’ve been using them up a few at a time. It’s a lot of fun and it’s a great discovery process to find a couple of core products that I will use for a lifetime. 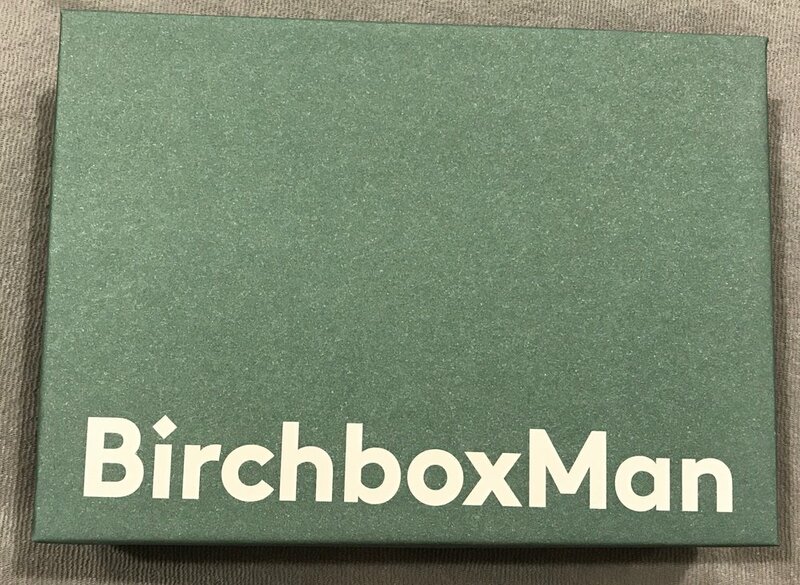 I definitely don’t think that BirchboxMan is the sort of box that I would stay subscribed to forever, but it’s definitely worth a few months of “clutter” until you settle on some products that you really love. 2. I am not sure why I received the Trust & Tradition product this month, since I explicitly indicated that I don’t have a beard and I have been operating under the assumption that they cater each box to each recipient’s profile. I will assume that this was a one-off mistake. If not, it’s somewhat inexcusable, or at least makes no sense why they bother to ask about one’s personal preferences. Bottom line is, once again, BirchboxMan delivers great value for the price. As you can see in the table above, I got $25 worth of product for $10 and I did not pay any shipping fee! I've also now gotten 8 different brands and 10 different products — that’s a nice variety. BirchboxMan continues to impress. I am actually looking forward to next month’s box.